What does God say about racism, discrimination, and prejudice? How to address this issue and what is the solution? We need to understand the value of all people, the equality in God, and how to bring together each side and lead them to the throne of God. The idea and term is misleading from its premises. There is only one race, the human race. Within the human race are different cultural and ethic groups. The idea of "race" in the political climate is a socially constructed idea. (John 3:16). The rejection of this love and sacrifice is on each individual person; but the value given to each person is made know. Every person of every culture and ethnic group are equal in worth. God does NOT show favoritism (Deuteronomy 10:17; Acts 10:34; Romans 2:11; Ephesians 6:9). Each and every person is perfectly and justly held accountable for their own stance before God. Whether they are made right before God or still under His wrath; each is given an equal perfect opportunity to be made right in his presence through his son Jesus Christ. Those who reject his son, will be equally and perfectly judged accordingly. God even commands us to love just as he loves (John 13:34). God's love is equality in truth and sacrifice. If his love does not show favoritism, does not discriminate, or is prejudice but equal for all, than we are to be also. But this love includes applying the truth in love to all people. Even the truths that some cultures collectively reject. The Holy Spirit spoke through the Apostle James in James 2:4-8 where he made it clear that unequal favoritism or partiality is evil. To discriminate against someone and to be prejudice toward any ethnic or cultural groups is sin. Only in Jesus Christ is there true 'racial' equality (Ephesians 2:14; Galatians 3:28; Colossians 3:11). This is the practice or principle of giving a group priority over each individual in it. Instead of rightly judging an individual, the entire group the individual is a member of, is judged. This is unbiblical and not how God himself works. Discrimination and prejudice spawns from collectivism. God knows YOU personally (Luke 12:7). And each individual will give an account before God for every word they say (Matthew 12:36). God judged entire cities and nations only because he knew every single individual sinful heart of every person in that city or nation. The church needs to reject falling into the belief of collectivism and get to know each and every person they interact with. Read: Can We Rightly Judge with Statistics? 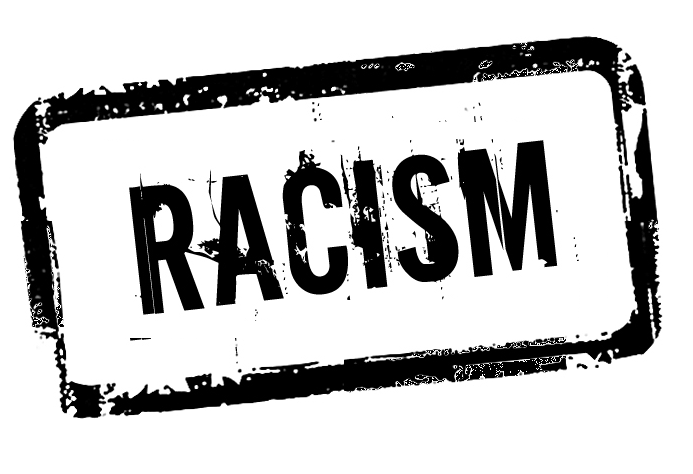 Anyone who is racist or discriminates is hypocritically judging. The log in their eye is blinding them from their own self-righteousness and disobedience to God's fundamental command in john 13:34. First they need to remove the log and see themselves before a holy and righteous God, humble themselves, and repent (Matthew 7:5). Because they are most likely blind to their own sin, the church needs to be the light in the world and gracefully, mercifully, and lovingly be the hands, feet, and voice of Christ to the racists. Similarly, victims of racism need to be unconditionally forgiving and remain obedient to Christ and love just as Christ loves them despite their own sins against him. The Holy Spirit, through Paul, in Ephesians 4:32 calls everyone to be kind, compassionate and forgiving just as Christ has forgiven. Becoming bitter and lashing out hatefully toward racists is hypocritical as well. Also read Did God Cause Evil? | Rioting Christians? The focus needs to be taken off the self, sins, the flesh, the world, and on Christ and his holiness and forgiveness. The he said she said keeps eyes focused on problems of the world and off the absolute forgiving love and self sacrifice of Christ himself for both sides. Seek first the kingdom of God, not of things of the world, and all these things, like peace, justice, and love, will be given to you (Matthew 6:33). Both, racists and victims of racism are sinners. Both need Christ equally and both are called by God to be forgiving and loving unconditionally (Revelation 5:9). Without The Gospel Message in the conversation; it is just a back and forth discussion of the flesh. Racists need to be lovingly held accountable for their evil thoughts (James 2:4) and lead to repentance. Those who experience racism need to forgive and pray for the racist's repentance (Matthew 5:44). Showing Christ's self sacrificial love in the face of racism and leading all racist conversations and situations to an opportunity to present the gospel message is the ONLY way to truly change race relations and the hearts of those who are racist. It will also stifle prejudice within the victim. Without Christ and The Gospel message IN the race relations discussion; there will be NO true lasting solution. Since this IS a growing issue in America, the Church needs to be the front runners with steering the conversations toward Christ (Romans 6:13). This is NOT to say to avoid discussions on racism and oppression. That would be wrong in itself. The discussions of racism and oppression NEED to happen and the church need to lead it. BUT, when those discussions occur, The Gospels NEEDS to be preached.